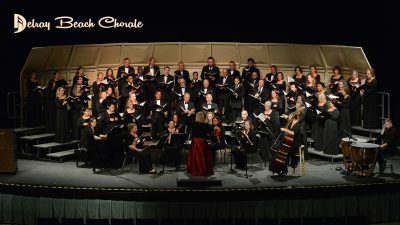 Delray Beach Chorale is a long-established choral performance group dedicated to providing Palm Beach County residents with the opportunity to experience inspirational choral performances of classical and contemporary music. Comprised of qualified and dedicated volunteer singers including professional, semi-professional, and amateur musicians, our fifty-plus members come from diverse backgrounds and range in age from 20 to 80. The Chorale is currently designated as Ensemble in Residence at FAU’s Boca Raton campus, where Artistic Director Dr. Fleitas also serves as Professor of Music and Director of Choral and Vocal Studies at Florida Atlantic University. Under her leadership, a growing collaboration has developed between FAU’s music program and Delray Beach Chorale.